These Tenkara Line Winders are the perfect alternative to troublesome Easy Hook Keepers for quickly winding up your line while moving from spot to spot. They snap right on to your rod when you need it for line management and pop right off when you don’t. They are super light weight and durable. They have a red foam center for hooking your fly to. The 2.7 size will fit most Tenkara rods such as the DRAGONtail Tenkara Shadowfire, KOMODO, HYDRA, and HELLbender rods or even our NIRVANA series of Tenkara rods. 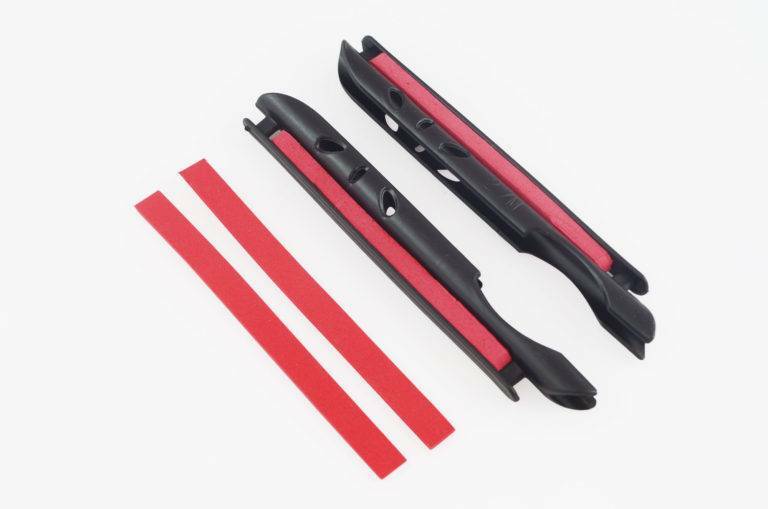 For very thin rods it also comes with a foam insert that allows it to fit thinner Tenkara rods. Size Fits Most Tenkara Rods. Snaps On-and-Off of your Tenkara Rod with ease. 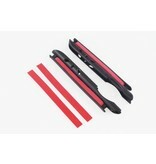 2 Pack in Red Color with foam insert for thinner rods. Perfect alternative to troublesome Easy Hook Keepers. Great Tenkara Line Management System as seen on Teton Tenkara Blog.